Thanks for coming back for another edition of Telos Financial’s blog where I discuss different financial planning topics. The purpose of the blog is to introduce financial planning concepts and questions I receive from clients that I believe are important. I want to start discussions about that will educate, benefit, and improve your financial life. Ultimately, to help you focus on your telos! In this blog I wanted to write about a recent happening at the firm. 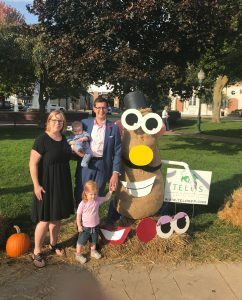 We were fortunate to be one of fifty winners of Downtown Plymouth’s raffle to participate in their annual Scarecrows in the Park event. The event allows each participant to create a scarecrow at a designated spot in Kellogg Park down town. 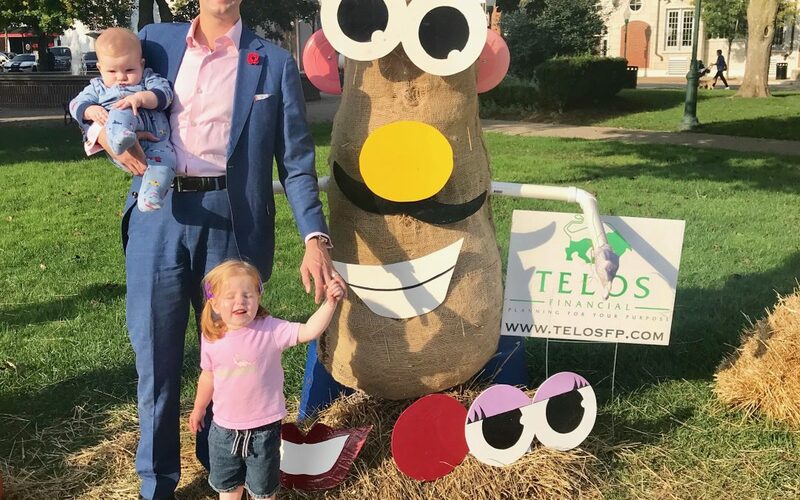 Telos created a life sized, functional Mr. Potatohead doll. The kids have really enjoyed it so far and it was a lot of fun to create. Kudos to my wife, Kristin, for the idea, painting, inspiration, and support as always. If you plan to be in Plymouth before Halloween this year, make sure to stop by to play with the doll. Don’t forget to tag your pictures @telosfinancial on facebook. Telos Financial is a Michigan’s financial advisor for Millennials, Xennials Generation Xers, & young professionals. 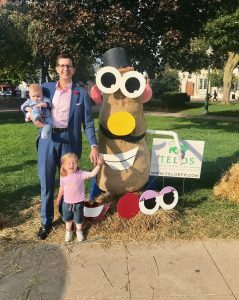 It is a fee based, fiduciary, holistic financial planning firm located in Plymouth, Michigan serving young professionals and families. Dennis LaVoy, CFP®, CLU® founded Telos and uses his experience, knowledge, and expertise to help families and individuals in Ann Arbor, Detroit, surrounding areas, and across the country achieve their financial objectives.